I thought I'd better do the polite thing and say hello, having been a long-time lurker on this excellent site. I've been a keen coarse angler since the early 70s (with a few gap years) but am now gearing up again with rekindled enthusiasm. I'm what a suppose you'd call a pleasure angler, enjoy mainly float fishing and use traditional techniques. 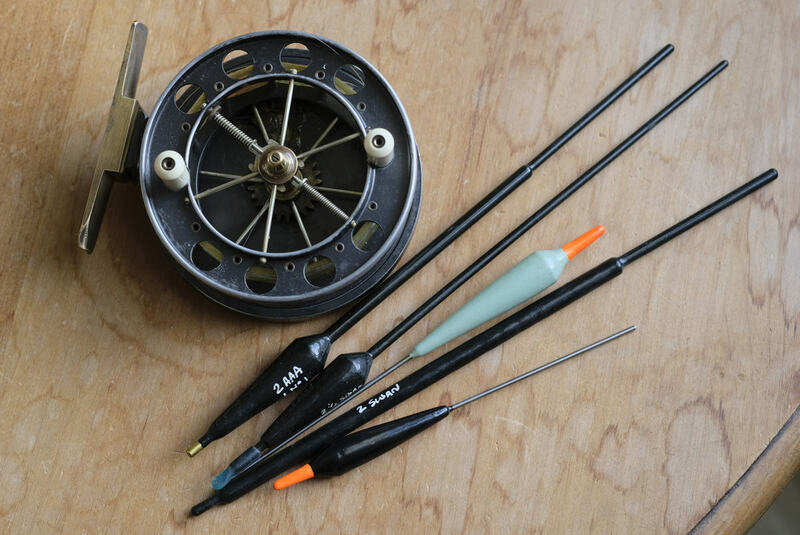 I have a particular interest in, and weakness for, centrepin reels, but also like using Mitchells and ABUs from the 1970s. I also make my own floats. Welcome Goose-Quill I hope you enjoy the forum as much as I do. Welcome to the forum from next door in Essex, occasionally wander over the boarder to Suffolk for a dabble in the Stour. Thanks all, very much appreciate the warm welcome! Thanks, as you'll see from the picture they're nothing to write home about, dull and utilitarian but functional at least. But, that could change, in fact I've been stockpiling materials and hope to make some that are more in keeping with my favourite reel - which I've included to brighten up the photo!